My Vet 24/7, a successful veterinary practice in Uxbridge, purchased a disused church hall at an auction for renovation into its second veterinary practice as part of its business expansion. However, with hundreds of thousands of pounds of expensive medical machines and equipment on site, the client was concerned about potential damage whilst the renovation took place. The client required a single storey front extension and full refurbishment to convert a disused church hall into a veterinary practice. This required a reception area, front extension for a waiting area, consultation rooms and an operating theatre. 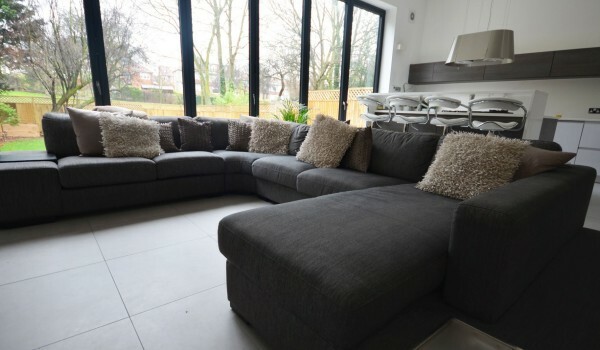 As the development was being featured on the BBC’s Homes Under the Hammer programme (season 16, episode 63), we were under close scrutiny and under extra pressure to meet the deadlines for the filming schedule. Installing full disabled access and disabled facilities such as toilets. Working with the client’s selected architectural firm, we created a new front extension to provide a glazed waiting area for pets and pet owners. The roof included interlocking tiles to match the look of the existing building. Inside the building, partitions were created to break the space up into a reception area, consultation rooms, operating theatre and x-ray bay. Specialist soundproofing technology had to be installed in some of these partitions for animals being treated, whilst specialist radiation protection had to be installed for the x-ray room. The drainage system also had to be configured to correctly dispose of surgical operation waste. To cater to the needs of the client’s customers, and to also comply with council regulations, we installed disabled access and facilities, including toilets, ramps and car parking spaces. Externally, we also landscaped the rear of the property, including tarmacking and painting, to create an outdoor staff area, car parking spaces, closed gate facilities and a full CCTV system. During the project, very expensive surgical and medical machinery was stored on site, meaning that extreme caution had to be taken to protect them. We dealt with this by documenting the condition of the equipment, segregating them from all work areas and then protecting them with plastic partitions. All of the equipment was then re-assessed to ensure that no damage had occurred during the build. A full loft conversion also created 3 additional bedrooms and a new bathroom, with a staircase to match the existing property style. 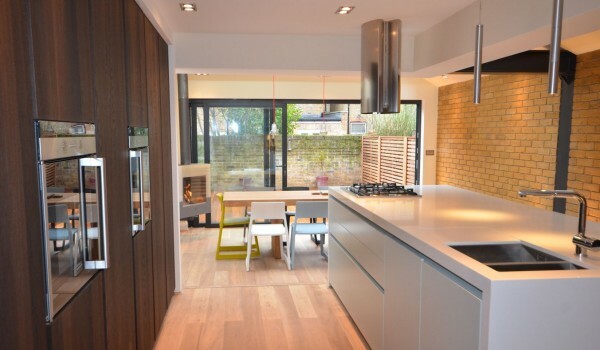 Finally, the rest of the property was fully renovated to give a modern and contemporary face-lift to suit the client’s tastes. This included external landscaping and full house re-carpeting. The property itself also had cases of dry rot, damp, wet rot and condensation which were identified by the client prior to our involvement. We remedied these issues for the client to avoid the need to bring in further contractors. 1). Clients could only move out for a limited time. 2). The property had to be in a liveable state 4 weeks prior to completion to accommodate their new baby. 3). We had to make sure our schedule complied with the schedule of other suppliers hired by the client, such as the double glazing firm. 4). Belongings and furniture could only be in storage for a limited time. 5). Bischell had to select and buy all “second fix” items (fixtures and fittings) on behalf of the client based on their requested tastes and styles due to time restrictions on the client’s part. A modern and professional state-of-the-art veterinary practice. The church hall was revamped with a modern interior to create inviting waiting areas and comfortable rooms for staff, pet owners and pets. Meanwhile, all medical requirements were dealt with and all disability regulations were complied with. All on-site equipment also checked out as completely undamaged and in its original condition despite extensive work being carried out in the surrounding area. 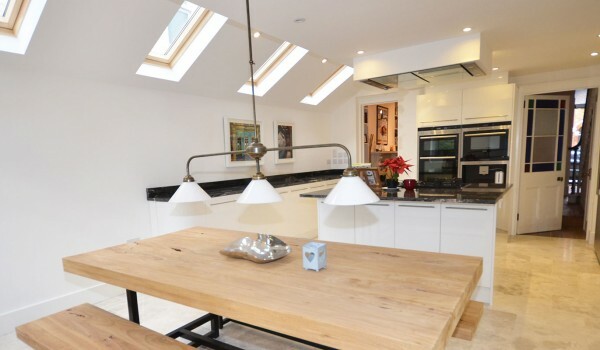 This project was documented on the TV series “Homes Under The Hammer” and was featured in series 16 in 2013. Estate agents valuing the property after completion commented on the high quality of workmanship and noted a potential sale price that would yield the client a significant profit if the client ever intended to sell. However, the client’s intentions were to expand their veterinary business further, and since then, we have designed a third practice for the client which is currently under construction.